​Click the Logo to be taken to the source. 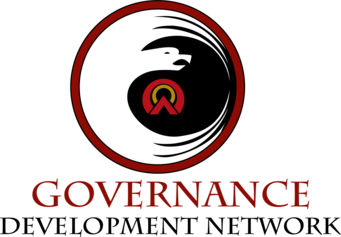 ​"Governance Development Network (GDN) is a grassroots community-based organization that works to promote good governance practices for First Nation communities within Ontario. We are a not for profit organization aimed at providing adaptable tools and information for communities so that they can achieve their governance goals through networking, and best practices. We believe that good governance practices contribute to a community’s ability to build capacity and create value in its governance processes."